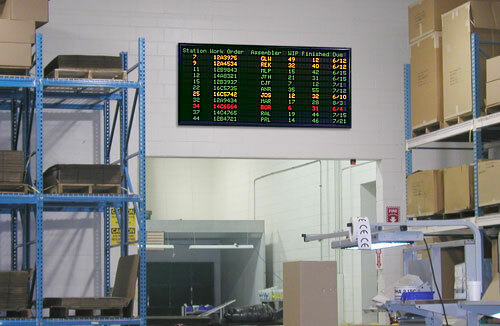 By integrating LED Signs into a real-time warehouse management system anyone can walk into a warehouse environment and visually see order status, priorities, and many other relevant productivity measurements. Improvements in order fulfillment accuracy and material flow efficiencies can be obtained. 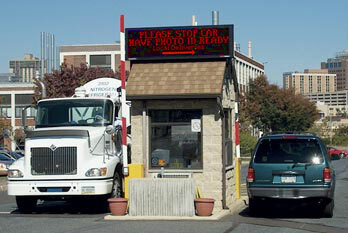 Five critical areas where LED Signs can be used are inventory management, storage, receiving, picking and shipping. 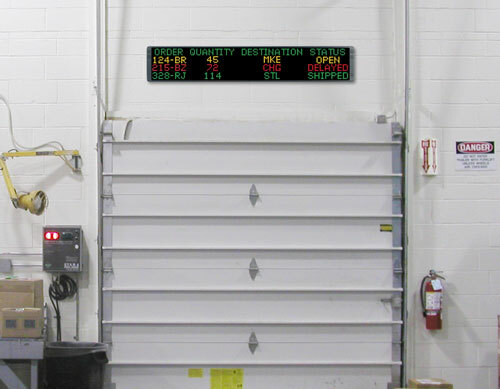 Outside of shipping, AlphaEclipse 3500 displays can be used to provide concise driver information such as queuing information, priorities, pickup times, departure times, wait times, truck directions and any other specific dock door status. Information is derived from either the dispatcher or the WMS program based on scheduling, dock availability and load priorities for each facility. This would replace the use of a simple dock number or flashing light. Once the unloading process starts, the lift truck drivers need to know what is required to come off of the trucks, where they need to be stored and the priority of the load. 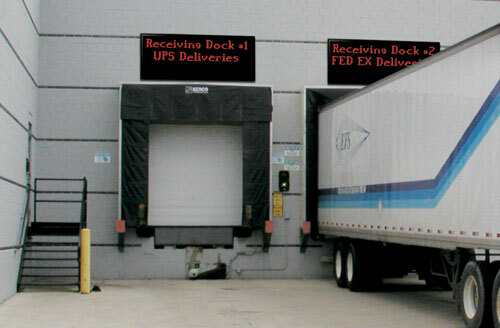 Displays placed over each receiving door on the inside can provide direction at a glance as to where the pallet or load must go whether it is a staging area, another dock for reloading, or a specific aisle or storage area. Again this data can be driven manually by the dock manager or via an automated process from the WMS. Improved coordination of orders, parts, priorities and flow. Improved inventory accuracy by insuring proper items are picked. Visible tracking of order status, changes, lots and priorities. Improved throughput, work flow and reduction of WIP. Improved customer service by communicating order needs and dock requirements. Improved labor resourcing by implementing a smoother flow process. Prioritizing of orders quickly and visibly for all employees. Meet delivery schedule and financial objectives. Link material flow with information flow. Visibly display any performance measurement information. No reliance on white boards, print outs, clip boards or word of mouth.